#10 Unfinished Canvas Duck Roll – Full Roll Approx 100 Yards 84" Width. Our #10 Natural Canvas Duck is double filled, 15 oz per square yard and 100% cotton. 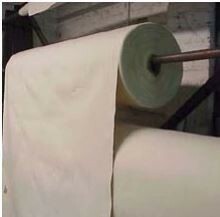 Perfect for artist canvas, floor runners, porch decking canvas, bakery canvas, unloading chutes for flour, floor cloth canvas, and various industrial uses.